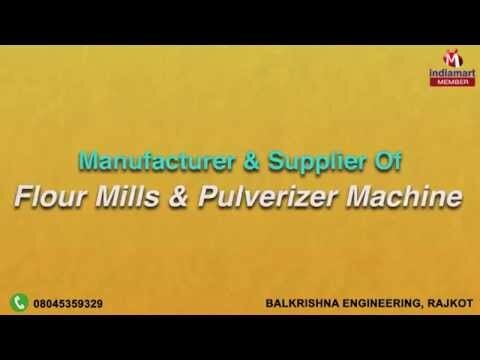 Welcome to Balkrishna Engineering, established in the year 2011, an ISO 9001:2008 certified company, we are one of the finest manufacturers and suppliers of an impeccable range of Flour Mills and Pulverizer Machine. his commendable range made up of advanced raw materials and also includes Domestic Flour Mills, Fully Automatic Domestic Flour Mill and Fully Automatic Flour Mill. All these products have high demand in the market mainly at the domestic front. We do offer quality products to our specialized clients that perform seamlessly and produce powdered flours in an easy way without wasting much time. Similarly, we offer this flour mill at competitive price range so that our clients can easily avail our products in bulk quantities. Manufacturing of this range is done in compliance with the set norms and guidelines in the best possible manner. We offer our product under the brand name of MICRA.